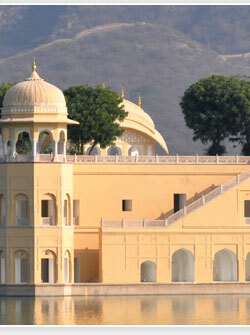 The Ahhichatragarh Fort is medium sized, which have been built by Mughal Emperors Akbar and Shaha Jahan. A well planned Mughal Garden, which retains its pleasant appearance even today. 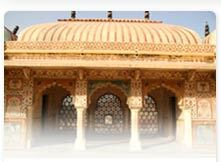 The city has distinct Muslim influences and a Five Domed Mosque built by Emperor Akbar dominates the landscape. The city is best visited during the Ramdeoji Ka mela and Tejaji ka mela in February and August respectively. Nagaur is approachable by express busses of RSRTC and by taxi. This eight days fair held every year during the month of Jan-Feb, is popularly known as the Cattle fair and is the second largest in Rajasthan. 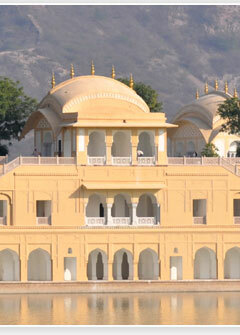 Nagaur Town is the most picturesque of Rajput townships. 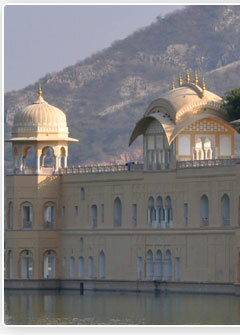 Nagaur is a sea of animals, trading over 70,000 bullocks, camels and horses every year. The bullocks are known for their fleetness. Not only are the animals lavishly decorated, even their owners flaunt wearing colourful turbans and long moustaches. Shearing sheep, handsome marwari horses to spices all compiled in one fair. Attractions include the mirchi bazaar (largest red-chilly market of India), wooden items, iron-crafts and camel leather accessories. 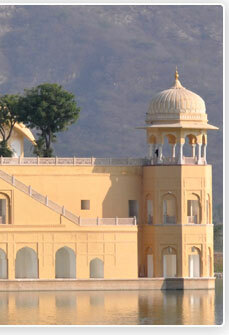 The Jodhpur Airport is 5 km away from the city center it has daily flights to Delhi, Mumbai, Udaipur and Jaipur. Jodhpur is well connected by train from Delhi, Mumbai, Chennai and Kolkata. A convenient mode of travel to Jodhpur is by road.The main highway between Jodhpur and Jaisalmer is via Agoli and Pokaran.Well connected by bus from Agra, Ahmedabad, Ajmer,Delhi,Jaipur,Jaisalmer and Udaipur.